HAWT TALK WITH TOSAN: Who would you kill, shag or marry? Who would you kill, shag or marry? 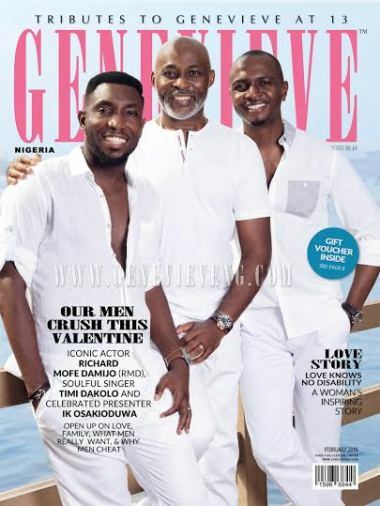 Actor Richard Mofe-Damijo, singer Timi Dakolo, and TV man IK Osakioduwa all cover the February issue of Genevieve magazine. So which of these dashing men would you kill, shag or marry?